Marial Bai Secondary School — consistently ranked among the best in South Sudan — provides an opportunity to create a new generation of well-educated young people with valuable diplomas. Our graduates have found work in international NGOs, healthcare nonprofits, the government of South Sudan, and as teachers themselves. Here are some of those success stories. Mary was expected to quit school and get married after primary school. But when she saw her brother flourish at Marial Bai Secondary School, she decided that she wanted to go to high school before getting married. Mary did just that and joined the freshman class in 2011. She fondly remembers playing basketball, reading in the library, and nightly study sessions under the school’s solar powered light bulbs. She remembers the diversity of the student body—it was the first time in her life that she was able to live with and befriend South Sudanese of different tribes. After graduating, she got a job at Concern Worldwide, where she is currently a Community Mobilizer. Mary works with farming communities on ways to improve their increase food security. Mary is now married with two children and is the primary income earner in her family. Bol is one of eight siblings who grew up on a small, family farm. He always knew he wanted a different life for himself and he made it his goal to go to Marial Bai Secondary School. He remembers how proud he felt when he was accepted, especially when he put on his uniform for the first time. He loved school, and, in his senior year, he placed #3 in the entire country on the national exams. After he graduated, Bol held a variety of jobs, including being a primary school teacher, with the intention of saving money to attend university. 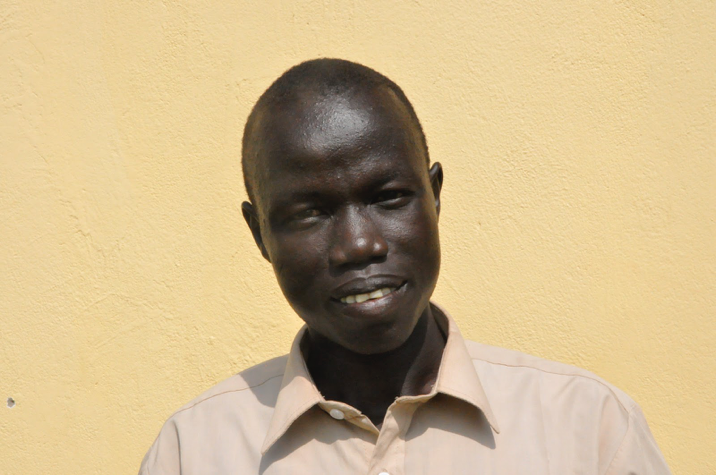 He is now enrolled at the University of Juba and is getting his bachelor’s degree in civil engineering. He hopes to use his degree to build the bridges and roads that South Sudan so desperately needs. Luka grew up in a village that had no primary school. His only education came from a teacher in a nearby village, who thought that he was gifted and offered to homeschool him. This teacher noticed Luka's intelligence and believed there was more for him. After much tutoring, Luka was accepted into the inaugural class at Marial Bai Secondary School in 2009. He thrived at school. He says he was a true “nerd” and enrolled in every extracurricular activity he could and volunteered to be the student librarian. After graduation, he taught freshman chemistry and eighth grade science. He then received a scholarship to study nursing at the University of Juba where he just finished his degree. Luka now plans to work as a health clinician near his home village. Yel was born in 1988 in the village of Manyiel, near Marial Bai on the banks of the river. Everyone in his family was illiterate. During the war, he first stayed with his father to help protect the family’s cattle. But with constant school interruption, his father sent him to Kakuma Refugee Camp when he was fifteen. After peace came to South Sudan in 2005, Yel returned home to Manyiel and finished primary school. In 2009, he was in the inaugural class of freshman at MBSS. He remembers loving doing experiments in our science lab—complete with microscopes, Bunsen burners, and chemicals. In 2012, he was a member of the first MBSS graduating class—he remembers celebrating with all the students families, singing traditional song and dancing traditional dances. After graduation, he was accepted into the University of Rajasthan to study civil engineering. It was a tough academic curriculum, but he got through it. He graduated earlier this summer and is planning to go back to Juba, where he hopes to get a job helping build South Sudan’s roads, bridges, and other critical infrastructure to help the country develop. Marko's father died when he was 8 and his mother died when he was 12. To earn money for school fees, he fished in the river that flows through Nyamlell. He remembers going to primary school under the trees. He grew up during the war and during one attack he had to jump in the river to hide. Even with everything going on, he loved school and was so excited when he was accepted into MBSS. He was a hard working student and loved to read. He remembers exploring the library where he found a book with MLK, Jr. speeches. After graduation, he worked in a pharmacy. While spending time in his village, he witnessed two women die during childbirth and decided that he wanted to pursue a career in midwifery. He received a scholarship to study midwifery in Equatoria State—but unfortunately, was not able to attend due his proximity to the fighting in the recent conflict. He has recently resumed his coursework to become an OB/GYN. He dreams of going back to his home village to start a maternal health clinic.